The Double Non AC Room is an ideal choice for two occupants. 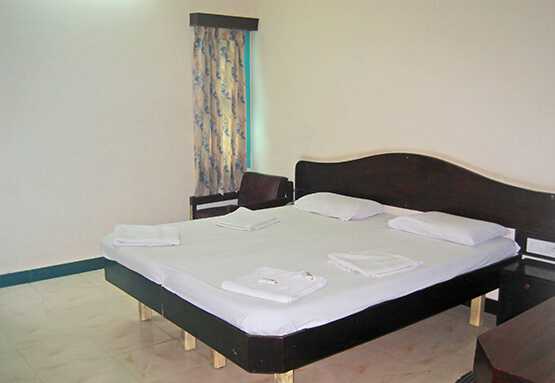 The room comes with a double bed and is furnished with the latest amenities to ensure a comfortable stay. The room also has basic bathroom amenities like soap, shampoo, shower & Hot water. 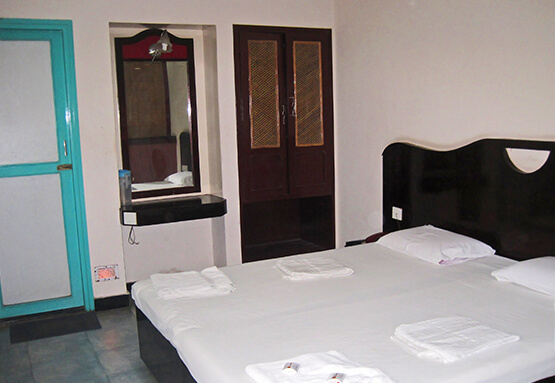 Fine luxury coupled with affordable prices make our Double AC Rooms a hit among all kinds of guests. The rooms are ideal for two guests and are well-appointed with all latest amenities to ensure a comfortable and a budget stay. The Utility Double AC Room is a comfortable choice for three occupants, comes with a double bed and a single bed. 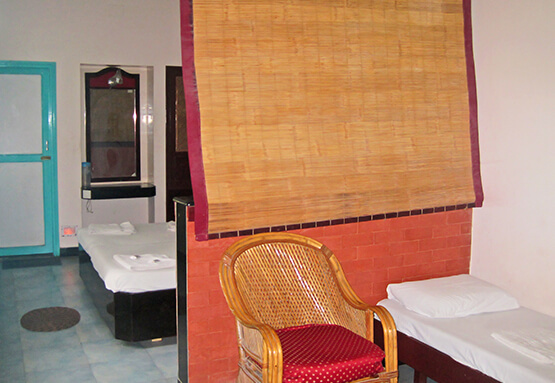 The room comes with a comfortable bed, air-conditioned and furnished with the latest amenities to ensure a cozy stay. This air-conditioned room can accommodate 2 guests. 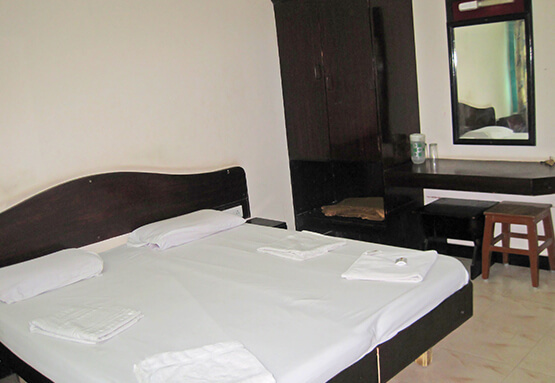 The room comes with a double bed with latest amenities. We provide you all the services and amenities you require to make your stay memorable. Comfort has been the cornerstone of every aspect of this Room.